We’re here to enhance your academic performance, promote independent learning and encourage your ongoing study. The Learning Center averages more than 14,000 visits each year with a staff of more than 40 peer tutors. 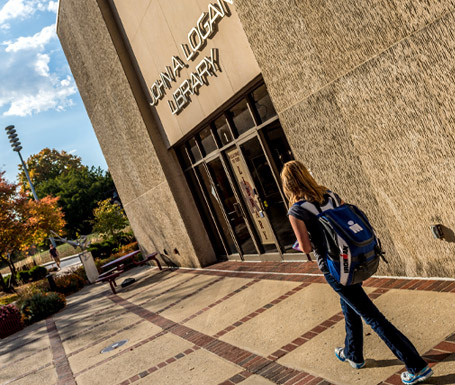 The Learning Center also offers individual and small group tutoring, final exam review sessions, quiet study areas for individuals or small groups, course files and more. In short, the Learning Center is here to help you succeed! We’re located in the lower level of the Logan Library. Monday-Friday 9 a.m. – 4:15 p.m.
Sunday-Thursday 7 p.m. – 10 p.m. The Learning Center is more than a place to study or receive tutoring assistance. We are also a valuable resource to help you learn how to study, review concepts, or prepare for an exam. The Learning Center has a variety of materials created by tutors or provided by faculty who are available at no charge to Rose-Hulman students. You can browse these materials and receive copies at the Learning Center front desk. We have topic handouts, review packets, past exams, study skills material, graduate exam preparation, thesis information, writing guides, career exploration tools and more. All materials are available to view or check out in the Learning Center. Come in and see what we have for you! 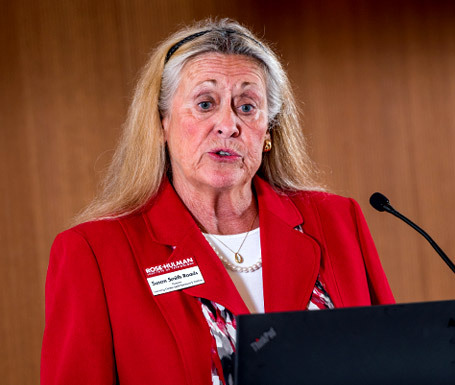 After coming to Rose-Hulman in 1987, Susan established the Rose-Hulman Learning Center and developed the Rose-Hulman Homework Hotline. In addition to being an assistant professor of English, Susan supervises all Learning Center & Homework Hotline programs. She received her bachelor’s and master’s degrees from Indiana State University.